My goal here today is not to only help you create a PayPal account in Ghana but your online payments and overall success of your internet/online business. A PayPal Ghana account will be our Case study for this purpose. Most Ghanaians have tried to ignore PayPal one way or the other. But, truly speaking Mr. PayPal have rather ignored Ghana. Oh, but what I’m I paying online? I don’t really need it…? “Read to the end for a surprise that you’ll not get anywhere.”But, when the online reality dawns on you. You start asking for help!Wora-wo-bз- ka…. !For many years now, PayPal has solidified itself as one of the biggest online payment systems, it has grown to be the payment gateway of choice for anyone doing serious business on the Internet from anywhere in Ghana. Of course, the Ebay craze really fueled PayPal’s popularity in the 2000’s. During this period, the need for a cheap and convenient payment system was necessary because of the millions of transactions that took place on eBay. Most sellers couldn’t pay for a credit card payment system, and on the other hand, most buyers were not comfortable typing in their credit card information over the Internet. Nobody wanted to be the next to be hacked. Then PayPal was born, a revolutionary payment system where both buyer and seller set up a safe and secure account that is fed with funds a debit/credit or from a bank account, and where the only thing required for monetary transactions on the Internet is an email address. Period. Paypal became the so-called middle-man of financial transactions, providing buyers a “safe-zone” where they only use their email address to make purchases with sellers the easiest way to accept payments online.All with the intention to keep our beloved credit card numbers safe. You need 5 things to do serious online business from Ghana today. It is even more critical when you’re dealing with an online payment system. Not having all the above doesn’t mean you can’t do legitimate business online. However, having all of them would improve your online reputation as a trustworthy business or entity. So our goal is simply to create a PayPal Ghana account with no hindrance and obstacles. When you want to create a PayPal account in Ghana, there are some things you must have in your toolbox in your quest to sign up for PayPal account in Ghana. Every now and then, when you hear of a PayPal in Ghana account – all you find is a list of fake names, addresses and particulars from online fake name generators.Shun that nonsense before you’re banned forever. So you think a multi-national company like PayPal cannot trace and verify your details?Even if they don’t, you’ll be called upon to verify them when there’s an issue with your account. Just don’t do that!Look at how to create verified PayPal account in Ghana for FREE in the tutorials below.Everything is covered here…Please use legitimate details to create a PayPal account in Ghana. All you need is these two stubborn details and you have a PayPal account. You hit the Sign Up now button on the PayPal website and you’re good to go. Complete the signup form. PayPal will send you an email and you simply click on a link to confirm your email address. Add your debit/credit card information to your account. PayPal will store and safeguard your card details for your future purchases. You are now ready to go shopping anywhere PayPal is accepted. You see that with these two details: an email and a card, you can start paying and receiving payments. Actually, many people only end here and use PayPal for years without any hindrance. Yes, that is how I started. However, if you’ve worked online for some time, used various payment systems such as PayPal – you will agree with me that PayPal is a very difficult to deal with. In fact, they’re a very terrible company. But hey, what can we do about it. They have a big chunk of the market share, they make it very simple to send payments and get paid with a few clicks and above all, it’s virtually free to use. Holy cow. These guys found a need and they filled it with finesse and grandeur. I love them for that. They even have the guts to blacklist some countries. Unfortunately, my beloved Ghana is bleeding for this reason. The reason why a PayPal Ghana account is usable in Ghana is your ability to link a Ghanaian debit card to your PayPal account. it’s a beautiful thing. I’ve personally linked a UBA Africard for my PayPal Ghana accounts, and this is what it does for me. It literally helps you keep your funds on your card and not on the PayPal platform. Since we can’t really tell what may happen tomorrow with the account. It is better to be safe especially when you start getting a lot of money in your PayPal Ghana account. If you have good money in your account, I advise you transfer it to your linked bank account. I know PayPal has that option. We will look at an international bank account soon. As a Ghanaian in the PayPal world, you are a foreigner in a distant far country – wondering about. Only God knows your fate. Anything can happen to you. Little do you know when you will be caught in PayPal resolution web? No worries, it rarely happens. Never, use a platform thinking someone is targeting you. These people are busy assisting customers and your Ghanaian status may never cross their mind. In fact, it’s very hard to reach a customer service personnel when you’re facing issues. Especially if it is not a direct phone call. Sending an email to PayPal support will get you nowhere. You probably must send at least 2-3 follow up emails to get a response from a human being. Your first email is mostly answered by a bot because of the magnitude of support tickets and request. These bots are fed with frequently asked questions (FAQ) of which yours may be one. If you really need customized support? You better call them. Ideally, this is another reason why I would want you to verify an international/US phone number. I will come to that very soon. I hope I’ve done enough to convince you to link a card to your PayPal Ghana account. The beautiful part is that with your linked card, you don’t have to put money on your PayPal Ghana account. All your money should be on your Ghanaian debit card. In the past, having a PayPal account in Ghana meant you were not able to put money in your account. All you could do is to receive money from business partners and mostly payments from freelance jobs. This meant it became very difficult to purchase anything with your PayPal Ghana account if you had no money or payments in your account. People actually called friends and loved ones abroad to make payments into their PayPal Ghana account before they could make purchases online. However, with your linked Ghanaian card such as UBA’s Africard, all you need to do is deposit all your funds on to your Ghanaian prepaid card and use it as your primary or secondary payment option after your PayPal wallet. PayPal allowed this option now. It means your PayPal wallet can be your default or primary payment option but if you have no funds in your wallet, your linked card will be used to pay for your purchases. 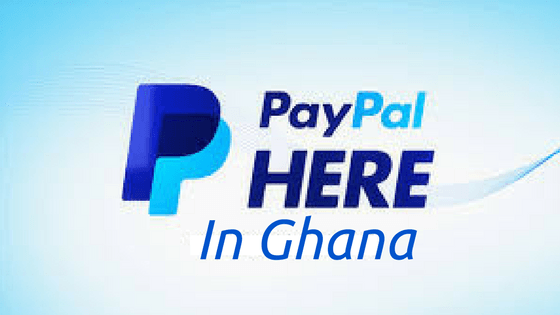 PayPal in Ghana tip #2: Ghanaian’s should stop pleading, PayPal doesn’t give a damn! As mentioned earlier, the Ebay craze really fueled PayPal’s popularity in the 2000’s. The smart folks at eBay were even smarter. They know a good thing when they see one. So they acquired PayPal late in 2002. Now PayPal payments are integrated into eBay’s checkout process. So without external users or outsiders who are not on the eBay platform, PayPal has millions of automatic and recurring transactions to work on from the eBay side of things. I guess they’re saying, “to hell with you” to blacklisted countries. Moreover, it’s more of a numbers game. They look at their metrics to see countries where there is serious traffic coming in. It’s quite sad to say, Ghana is not one. That is why I believe a lot of Ghanaians – “Ghanaians in Ghana” should be creating a lot of PayPal accounts. You can call it illegal or unethical but it’s one of the ways to get noticed. You remember when you were in school. The very stubborn guys who were somehow restricted one way or the other are later accepted because they will find creative ways to go or do whatever you are restricting them from. I remember one guy who became immune to repeating a class. If you dare repeat him, he will so much influence and destroy the new students coming in to meet him. Just let him move on and take your fees. Sack him and the school will be his second home. In fact, that is what the Bible says we should be doing. Perseverance and persistence. Never give up. Hehehe, don’t take this my Biblical madness. But, I believe you understand what I’m driving at. The main reason why I prefer a phone number verification especially on online payment systems and related products. In the “Psychology of Online Payment System Course” I reiterate the benefits of verifying an international or US phone number on platforms such as PayPal in Ghana. In that, from the start of your relationship with PayPal in Ghana – you establish yourself as a worthy person who means business. The truth about PayPal that most people don’t know is that they prefer and love your phone number more than any other verification process. This is because, just like two-factor authentication – your phone is your closest identifier. Mostly, your phone is on your side. Moreover, these payment systems – just like banks would not compromise on identity and security. Unless you’re like me. In fact, I’m planning to stop carrying phones around. I believe everything can wait – there’s nothing urgent on this earth. PayPal like most services doesn’t joke with phone numbers. It’s their bread and butter. And so when there is any issue with your account, your phone is the first point of call to verify your identity for that matter. Period. It’s only when you don’t have a phone number on file that crazy things like driver’s license, utility bills, and SSN – Social Security Numbers become necessary. That is not my portion in Jesus name. Where am I going to find those things? So this is what the so-called PayPal gurus preach in Ghana. Never sign up with a mobile number but a home phone. Well, that is good if only need just an account for a purpose. So go for that if you need to take payment from someone. Let know one lie to you that you can’t create a PayPal account right here in Ghana. If someone tells you that because PayPal is not in Ghana – so you can’t create an account in Ghana. How to create a PayPal account in Ghana? How to I get a PayPal account in Ghana. My answer is a big Yeah. However, that doesn’t mean Ghana has been whitelisted or PayPal in now in Ghana. What this really means is that even though PayPal Ghana is not on the list of accredited or eligible countries, there may be people especially foreigners who may need an account or use their existing accounts in Ghana. Yes, you can choose any other country of choice when creating your PayPal account in Ghana. Apparently, this opportunity is for foreigners and even Ghanaian who stay or are from countries eligible to create an account. Take advantage of this and create your PayPal Ghana account. I agree with the school of thought that says you use your local or Ghanaian details to create your PayPal account in Ghana. However, what I also agree and strongly believe is for you to verify a phone number. This could either be a US phone number or an international phone number from any European or foreign country. Yes, you can get a legitimate international/US phone number. No worries, I will show you how. With this number, I don’t fear to choose any country for my account. I normally go with the US. There are many services, free and paid who would provide you with a legitimate phone number for your online or general business transactions. The service I have used for quite some time now and trust is TextNow. Those who know Textnow get goose bumps when they hear it mentioned. Why? Because it requires some commitment. If you’re keen on doing serious internet or online business, then this shouldn’t be an issue. If you’re keen on doing serious internet or online business, then this shouldn’t be an issue. Use this phone number to verify your new account on your PayPal Ghana account. TextNow is a free virtual phone number service for US citizens. Oh yes, is a US based service. Above all, you’ll need to be active on the service. Be it sending messages or making calls periodically to keep it activated. Keeping it idle for a period of 3 to 5 days interval without usage may cause your number to be reassigned. Meaning you can virtually lose the number. This is very critical to your PayPal account. In fact, if you link this phone number and it is reassigned because of inactivity or non-usage, then PayPal will make it very difficult to add another number. Your only option may be to call PayPal support. All you have to do is to just call or message your Ghana phone with this TextNow number periodically. That’s all. There are other alternatives such as Google voice which is also US based and skype phone number which comes as at a cost – I think 50 bucks or so. Yes, I know that, and there is a way out. Forget those who think using a VPN is a bad thing and also expensive. In fact, using a VPN means your privacy is your priority and that a good thing. For the expensive part, there are free but robust and reliable VPN’s that will do just about anything for you. Hola and Tunnelbear are the usual culprits. I was later introduced to another great alternative: Xproxy which is doing wonders. So now do you believe you can get an international/Us phone number? Eeiii what is this guy smoking? Nothing is impossible, even in Ghana. I can assure you that you can get a genuine and legitimate US mailing address right here in Ghana. First of all, I love the US for one thing. They listen to the market and give people what they are asking for. They know if you don’t give people an alternative, they will find illegal means to attain them. The birth of forwarding companies. What do these forwarding companies do? The forward or send your purchased orders from one country to the other. This is true for the US market. Many of the huge US centered retail and e-commerce stores such as Amazon, Walmart, eBay etc doesn’t ship to some countries for reasons best known to themselves. Apparently, for shipping cost purposes. Unfortunately, Ghana is no exception. So these forwarding companies provide you and me from countries like Ghana a legitimate and traceable US address for shipping and billing purposes. So how does this address come into the PayPal picture? Like I mentioned in my introduction, I am more particular about your approach to the online payment system and online business as a whole. Hence, this detailed analysis. Paypal is only a case study for this purpose. And so for this US mailing address, you can use it as your address when creating your PayPal account. It bears your name which makes it legitimate. Even though, you may only need this address for buying online from retail stores like Amazon, using it on all your address fields online will make you a serious business person. When this address is used in conjunction with the phone number, you suddenly look professional and consistent online. Your PayPal Ghana account is only the beginning. Your reputation online is key. This is how you confirm your account, email, and phone number on your PayPal Ghana account. You are in Ghana but you have a thriving business in the US with genuine details. When someone asks this question, Can i use PayPal in Ghana? Refer him/her to this last video. Account created. Enjoy your PayPal Ghana account. Click on any of the questions to reveal the answers. Does PayPal work in Ghana? Is PayPal in Ghana? I hope you’re asking whether PayPal operate in Ghana. That is a ‘NO’. However, all the PayPal Ghana tutorials and videos here should convince you that you can setup a PayPal account in Ghana. Can I use PayPal in Ghana? Short answer: YES! Long answer: If you follow my advise and get all your legitimate details with respect to how to setup a PayPal in Ghana, then your PayPal Ghana account will be a success. Send your questions in the comments area, and I’ll help you answer them successfully. Thank you. As a creative and I know you’re one too. When you start getting the edge to earn money online or on the internet, you come to the realization about the importance and relevance of PayPal to your business. Apparently, because of its versatility, ease of use and dominance. At that level – you’ll go to any length to get an account. If you’re not successful, your whole internet and online business opportunity only become a dream. But hey, you’re not alone. To wo bo ase…! Your friends and compatriots at Twitechy are in to help you make your dream a reality. On Twitechy you’ll be exposed to a step-by-step video tutorial in courses and training. The fascinating part is that, you’re not only getting a PayPal account but any other online or internet struggle you’re going through will end right here. How about accepting PayPal payments on your website with a PayPal business account and a lot more. Always remember your comment is my oxygen. How has been your experience with PayPal? Do you have an account already, how it it doing? What do you want to learn or know about next? Here’s the surprise I talked about in the beginning of the post. Share your thoughts and ideas in the comments area. In my opinion, I think this your post is the best so far I’ve read on the Internet… Really insightful. Many thanks to you, bro. Really appreciate your comments. Thank you. So how do your create it without a bank account I really need this account please help me…. Thanks for your comments Nana Yaw. You are doing great. Just now too, I’ve learnt from you the implication of laying your phone number idle. I got it from viabox, through your videos I’ve been watching. Now having acquired all these particulars, do I discard all my Ghanaian particulars and my US particulars in subsequent forms I will be fill? Thank you. Thanks for your comments Nhyiraba. Very insightful post. Thanks a lot. I have one a little problem though. i registered as an affiliate marketer for a U.S based company and they are asking for my bank details such as Bank country, bank city, bank name, account number and routing code. Is there a way i can get all these information? Thanks. Sure, you can have legitimate bank account details. you’ll find a link to start creating your account. Will be up on nelsontuffour.com very soon. Enable or subscribe for notifications on the left right corner and you’ll be notified when its live. Thanks sir for this information… Sir please I have question when creating PayPal account using u.s details can I add my eco bank account number to send and receive money? Thanks for the comments, Crownwell. You can add most of the debit/prepaid cards. I’ve not used Ecobank before but I can vouch for UBA or GT bank. Bro, thanks for the post. At least I can save my few coins whilst having a Paypal account. My question however is with the mailing address. In case you buy an item online with the foreign address, where exactly would the item be forwarded to ? Thank you, Ibrahim, for your comments. That’s a good question. This address is a physical address – you can, in fact, trace it on Google maps to see the physical warehouse. I’ve bought things from Amazon using this address and it was shipped to the address in a few days. Since it is a forwarding address, they will further ship it to the local Ghanaian address you provide on the online portal using one of the shipping courier services. You would’ve to compare the charges and shoose the one you like. So what if i want to use my ghana number and address to verify.. how can i go about that? Sure, you can use your Ghana number with the home option which may not require verification. However, since the system is automated – there may be a time you may be required to verify your details when your account becomes suspicious. That is when you can’t do anything as a Ghanaian. I really enjoyed your post.. thanks.. Thank you Harriet, really appreciate your comments. You can use your PayPal account to take your online survey cash as usual. Thanks for the comment. Hope I’ve been helpful. Thanks for the comments. I really appreciate your time here. Come back for more awesomeness.